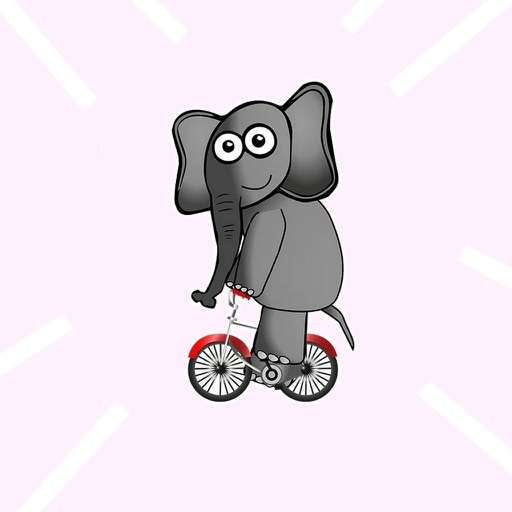 Elephant Stickers App Data & Review - Stickers - Apps Rankings! Here is an interesting fact about elephants, Elephants and dogs are the only animals that seem to instinctively understand pointing. These animals are very intelligent, the mass of their brains is more than of any other land creature (except whales) amounting to 5 kg. 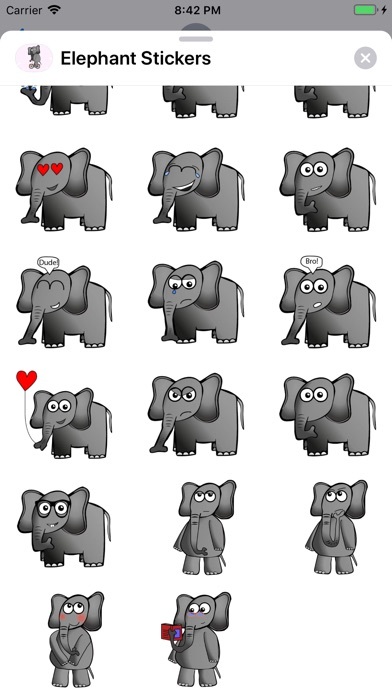 Elephants are big and cute and friendly animals as friendly as a dog. Dogs are used for hunting but elephants are prayed in india for intelligence and education. 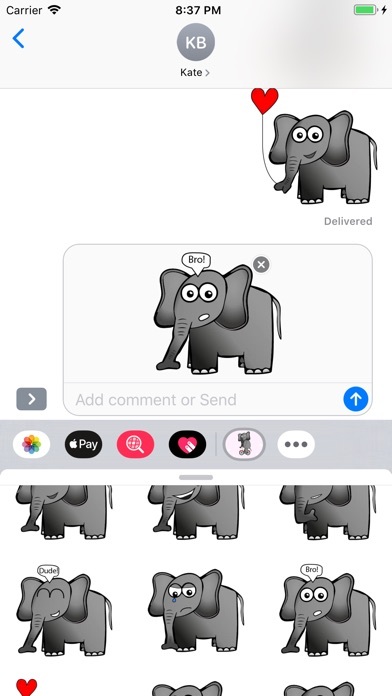 Share the elephant love! Have fun! 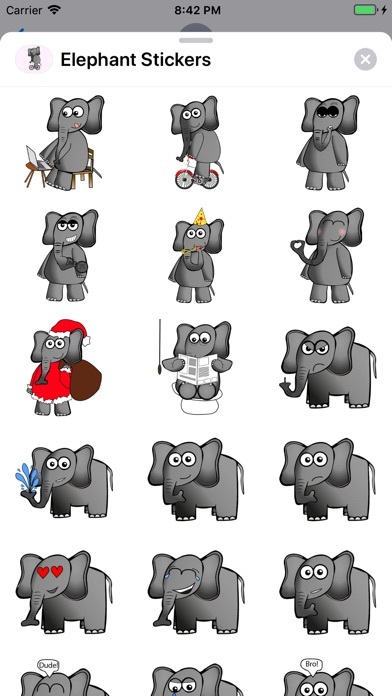 The applications Elephant Stickers was published in the category Stickers on 2019-02-08 and was developed by mohamed taoufik. The file size is 4.10 MB. The current version is 1.0 and works well on 10.0 and high ios versions. 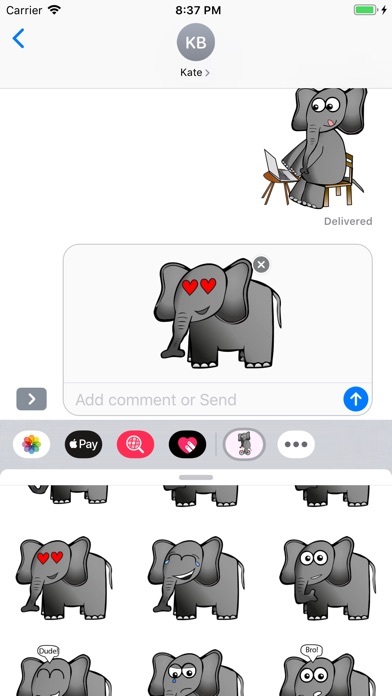 Do you like Elephant Stickers applications? Please share!